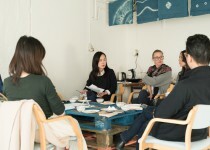 Visual artists Hiroko Tsuchimoto and Malin Pettersson Öberg are organizing a Japanese book circle in Stockholm since spring 2015. 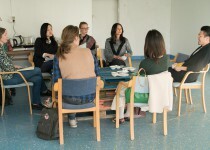 Currently, the book circle takes place at the Slakthusateljéerna project space, Bolidenvägen 22 in Stockholm. 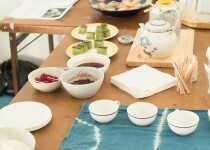 Japanese literature (facts, fiction, poetry…) is read and discussed as a tool to learn more about Japanese and Swedish culture and its conjunctions, and to share this interest with others. Please read more about how the project started below. Most welcome to the next session! 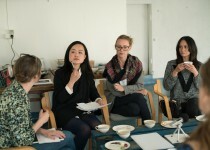 During the event Situations of Kekko, organized by Hiroko Tsuchimoto and Malin Pettersson Öberg at Konsthall C in Hökarängen (Stockholm) in Nov. 2014, many of the Swedish and Japanese visitors took part in a conversation about the nuclear accident in Fukushima and other engaging issues connecting the Swedish and Japanese culture. 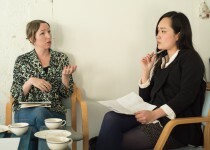 We asked ourselves which differences and similarities we encounter in the two cultures, and how concepts such as work, the relation to the present, language/communication, gender roles and political engagement formulates. Further, which are our ideas and expectations towards the other culture? 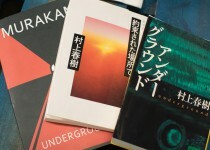 One format to continue this discussion that we came up with was a Japanese book circle, taking place at different locations in Stockholm. 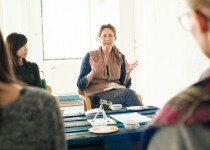 Each session is open – not mandatory – for the members to attend, and the group itself selects the next date and book to read. Please remember to RSVP to malin.pettersson.oberg@gmail.com or to hirokotsuchimoto@gmail.com if you want to attend, as we might have to limit the number of places. Please also keep in mind that each sessions might be documented by voice recording and still image photos, which might later be made available online.